The 1970s started out just dandy for the Mustang, with the car still selling strongly and continuing to build the Mustang legend. 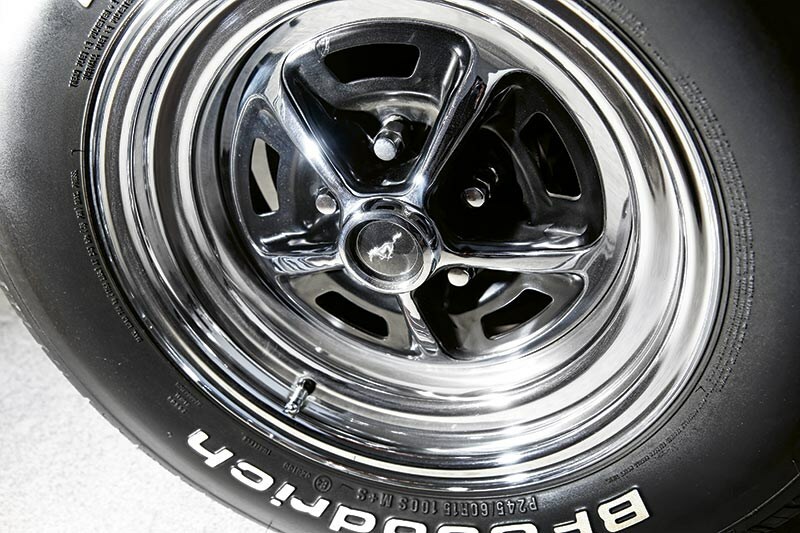 Boss-badged race cars were bringing home the silverware, but it’s important to remember that without the basic car to sell to punters, there could have been no race program. And in that context, the mass-market models that took the Mustang forward into the ’70s are the ones that deserve the real kudos today. Of those, the Mach 1 is the standout. With a 351ci Windsor, it was a proper quick street car, and while the Cleveland engine has its devotees (and let’s not forget Bathurst in all of this), the Windsor is regarded in some circles (some pretty knowledgeable ones, too, it should be said) as the superior street-car engine. 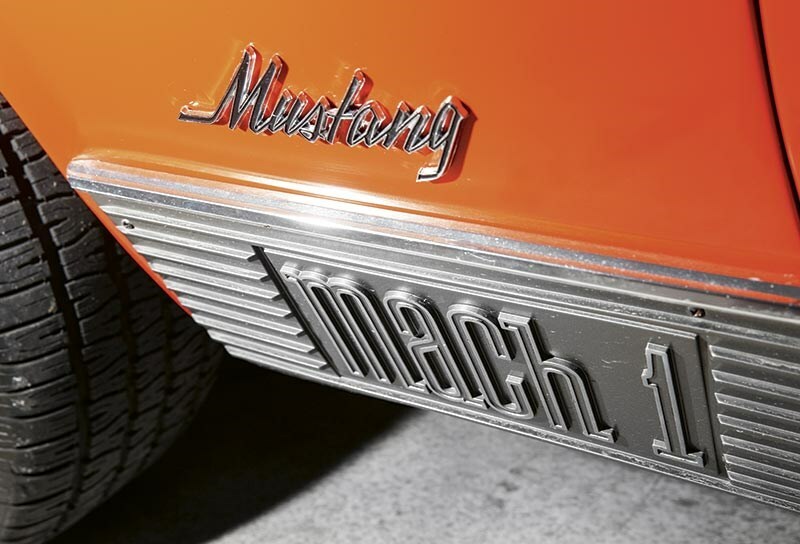 By 1970, the Mach 1 badge had replaced the GT moniker that had been a bit of a flop for 1969. 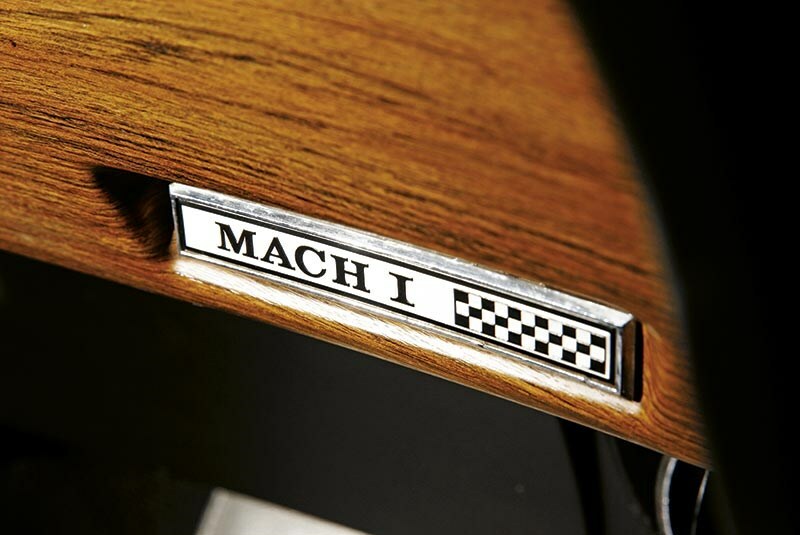 By then the Mach 1’s stripes had been well and truly earned, thanks to a strong basic package that included the fastback coupe body, matt-black bonnet (the shaker scoop was an option), bonnet pins, chin spoiler, rear louvres, decals and even specific wheels. 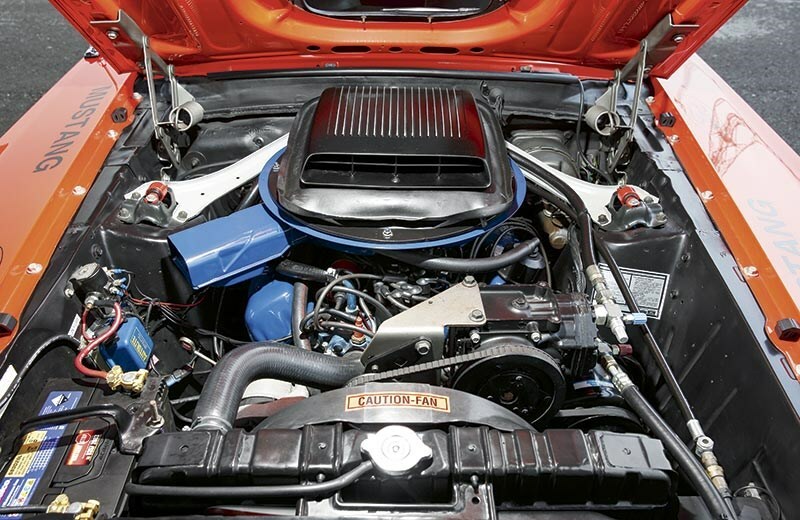 Underneath, you got stiffer suspension and, while a 2V Windsor was the standard fit, the 4V was a popular option, and Ford even offered 390ci and 428ci packages. 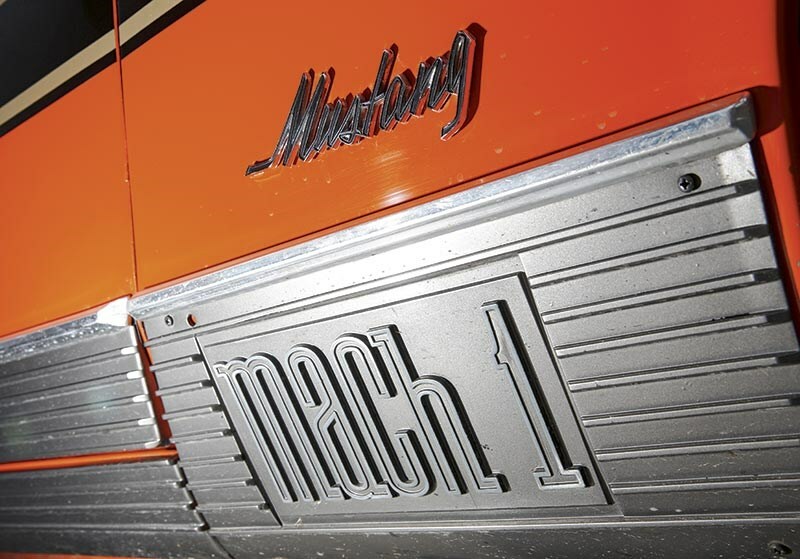 A nine-inch diff was standard, too, backing up the Mach 1’s heavyweight credentials. For 1970, only a mild freshen-up was deemed necessary as the thing was still rolling out of showrooms in big numbers. The quad headlights were modified to give a dual-beam outer light for 1970, with the inner lights becoming driving lights. The tail-lights were now recessed on a honeycomb panel and, inside, the deluxe trim was revised with better seats and a new tiller. Sadly, the air scoops behind each door were deleted for 1970. The car on these pages is a bit of an odd combo. While it’s generally agreed that Ford switched from the Windsor 351 to the Cleveland for the 1970 model year, this particular car is fitted with the 1969-specification Windsor. Who knows how stuff like that happened, but there’s plenty of evidence of it across pretty much every manufacturer, particularly around this point in history. In any case, it’s an original car and that’s how it was built. 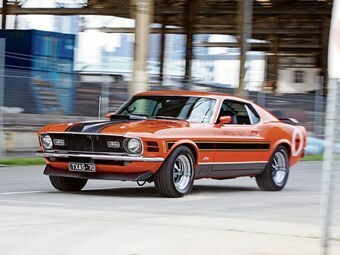 And regardless of which 351 is under the lid, it’s still a Mach 1 and still a classic example of the pony breed. This was also the last decent Mustang for quite a while, because it all started to unravel for the Mustang from that point. For 1971, the body was changed to what Lee Iacocca described as a fat pig and he probably had a point: The new car was bigger in every dimension apart from height and it was now about 400kg heavier than the original Mustang. More than that, however, the concept had shifted from an agile, sporty coupe or fastback to a somewhat bloated boulevard cruiser with about as much athletic ability as a hippo on casters. The Boss 302 and 429 were gone, replaced by the Boss 351, which was also watered down, and it was pretty homely in stock form, too. Believe it or not, worse was to come. The fuel crisis hit, Ford panicked and the Mustang franchise was downsized for 1974. The smaller and more efficient car was called the Mustang II (to differentiate it), but really, to call the thing Mustang at all was a slap in the face to those responsible for the first models. 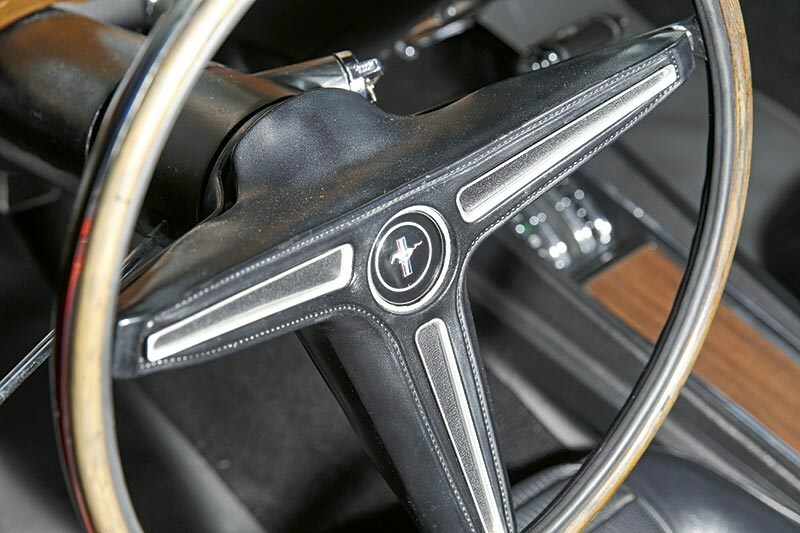 Mustang II was designed to recapture the essence of the original pony car, yet it was still heavier than the original. And when it launched, there wasn’t a single V8 option in the Mustang brochure. Due to public demand, the five-litre V8 returned for 1975, but it was still more like a Celica than a Mustang. For all that, buyers seemed to like it (some of them anyway) and the ’74 Mustang II outsold the unloved ’73 car by about three to one. For the faithful, though, the Mustang II was too horrible to bear. Should’ve been called Gelding, not Mustang. 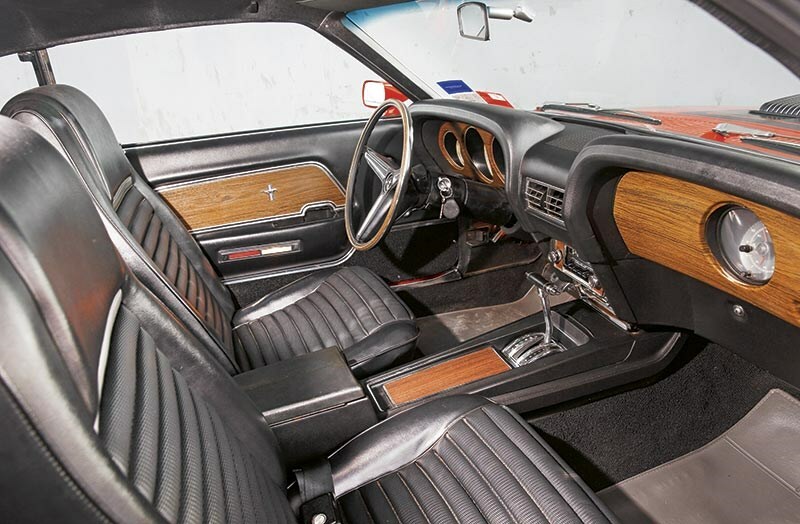 If anybody ever asks you why the ’70s are regarded as the modern dark ages, point them at a Mustang II. With the North American muscle-car movement at fever pitch by the end of the 60s, Ford didn’t really need to do much in order to sell vast numbers of high-performance cars. 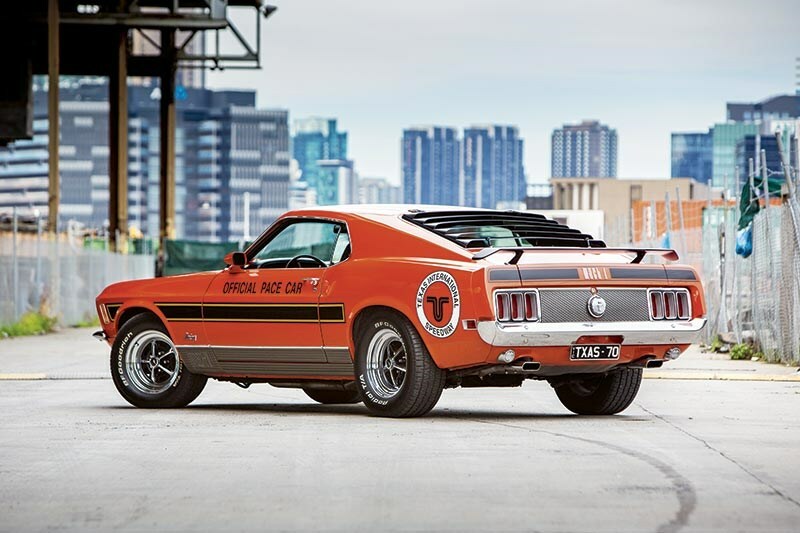 Weighing in at 1475kg and with a starting price of $US3319 (a basic Mustang in 1970 cost $2721) the 224kW Mach 1 four-barrel was quick, with decent handling and enthusiast appeal that wouldn’t slacken one bit as the cars aged. The model had appeared in 1969 and generated sales of more than 70,000; almost 25 per cent of all Mustangs sold for that year. In 1970, when a slightly revised and more expensive version arrived, sales slumped to 41,000 units for a 21 per cent share of Mustang production. Although relatively scarce, 1970 models are yet to generate significantly greater demand than ‘69s, and small-block versions remain affordable. 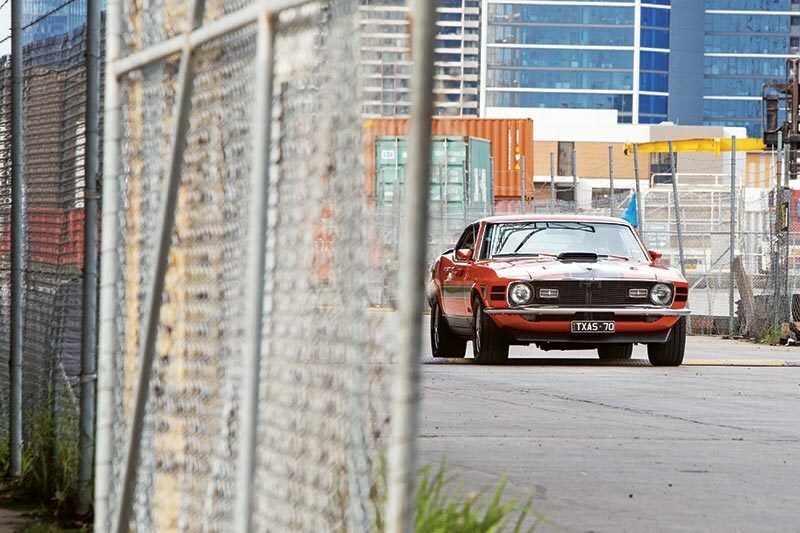 Ultra-rare Boss 429 versions – reckoned by some to be the most fearsome muscle car ever made – can cost $US500,000, but even that is cheap compared with some rival brands that top $2 million. 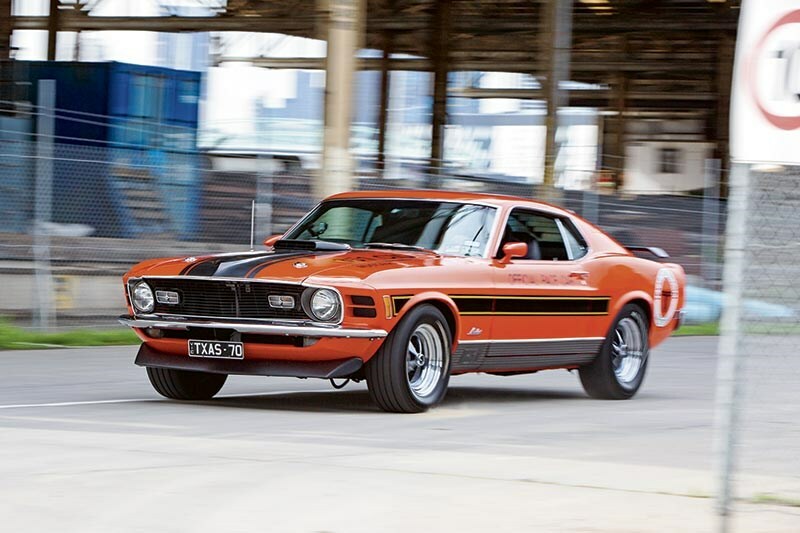 In Australia, $50,000 will currently buy a 351-engined Mach 1. For around $30,000 including freight and taxes, you can import one from the US if you prefer. These are in their original left-hand-drive configuration and offer stronger prospects for appreciation than cars that have undergone RHD conversions.